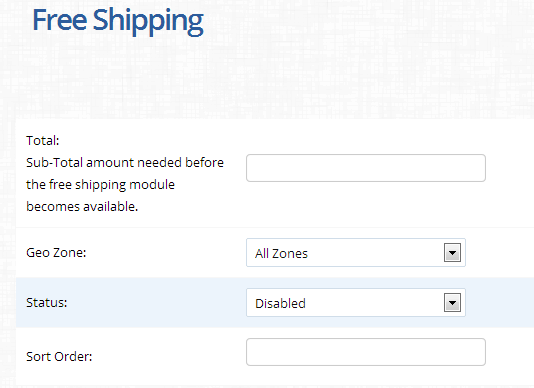 For installing or editing a module, you will need to complete the following fields and then press Save or Cancel: Cost, Tax Class (Taxable Goods,None), Geo Zones (such as the UK or US Zones), Status (Enabled or Disabled) and Sort Order. If you want the same price for each item (like $5 per item) you can use the included “per-item” shipping extension in the extension->shipping area. That just takes all items in the cart and multiplies by the rate. 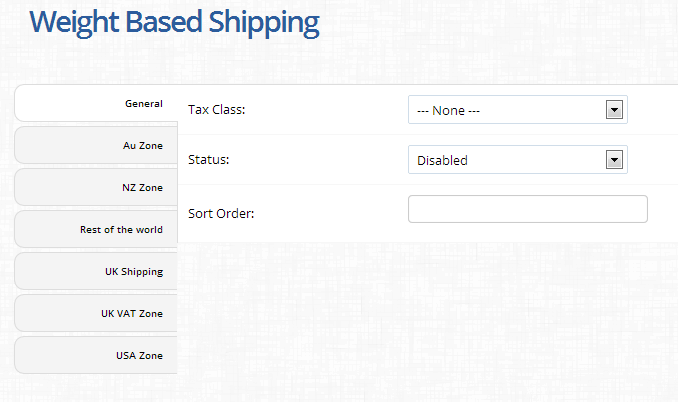 This shipping module lets you create different shipping costs based on your Geo Zones. 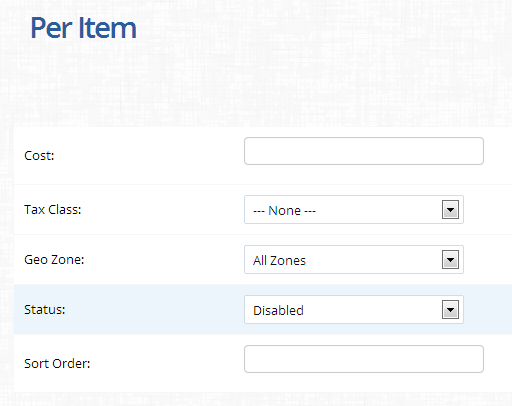 The module settings also include an All Zones section. 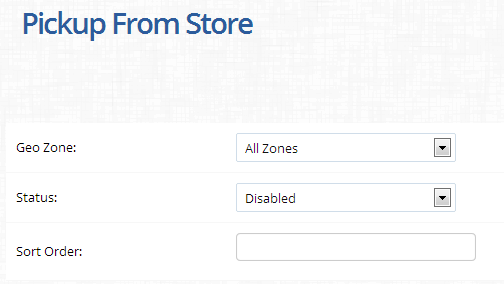 The rates you set in this section can apply to every zone, or only apply when there are no active Geo Zones active. Set this option in the Status field of All Zones. $5 for slow shipping, $10 for regular shipping, and $15 for fast shipping. f you set the All Zones status to “Enabled when no Geo Zones are active”, then only customers outside the USA will see the $13 and $20 rates. If you set the All Zones status to “Enabled”, then non-USA customers will see the $13 and $20 rates, and USA customers will see all the rates mixed together: $5, $10, $13, $15, and $20. 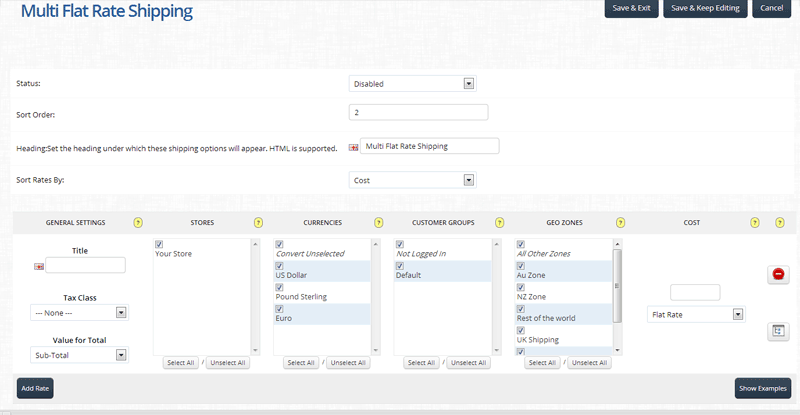 Heading:Set the heading under which these shipping options will appear. For help with the extension settings, you can click the “Show Examples” button at the bottom of the page to display some examples of how to set up rates.